I’ve been reading the Old Testament book of Daniel. I am reading it s.l.o.w.l.y. because it is like a treasure chest! You open it and all the good stuff keeps pouring out! And, as it is pouring out, I want to be sure that every gem pours IN, to my spirit. The book opens with Daniel being a young, smart, faithful (approximately) 15-year old Jewish boy. He and his three friends (Hananiah, Mishael, and Azariah) find themselves in the king’s palace, at the very beginning of the exile of the Jews into Babylon. Most of us know the Bible story from Sonday School about Daniel’s friends, Shadrach, Meshach, and Abednigo (new names given the friends mentioned above) in the fiery furnace in Daniel chapter 3. It is a (true) story of hope and redemption. The book of Daniel continues to draw one in. The entire book of Daniel is packed tight with nuggets of gold! In just twelve chapters, Daniel ages 70 years and writes what was revealed to him about the End Times. It is a book of adventure, angelic encounters, kings that grow claws and graze on grass, mysterious writing on walls, and, it will raise the hair on your skin and make you faint of heart. If Daniel can be so bold, then so can I! I am going to have to go back and reread Daniel. I want to be like Daniel and at the age of 82, praying one of the most heart-felt spirit filled prayers of my life. Daniel really is a great example of that life-long journey of faith. I am letting those words of his enter into my heart and I will pray them over my family and those I love too. Tara, YES! I love what you say here in the comments! I have been somewhat awed by men like Daniel and Nehemiah, who prayed so fervently for Israel. They always included themselves in their intercessory prayers. It is always “we” not “they” have sinned, so as I pray a list of character qualities for my grandsons, I always pray for myself first, that they would see those things in my life. It is then that I can’t help but see that the “we” is always appropriate because I know my own heart too well. You know…I’ll have to admit that this is one book that I often read my children (in more child friendly form) and I haven’t spent nearly as much time here as I should. I tend to forget that the book spans the length of 70 years. You’ve inspired me to add this book to my reading list. Perhaps I, too, will grab onto those nuggets you speak of. Jennifer, I hope you are as blessed by reading it again as I have been. Thanks for stopping by. I love the book of Daniel too. Thanks to our God who gifted Daniel with the grace to be bold in the face of the enemy! Barbara, Daniel definitely enjoyed abundant grace in his bravery and courage. I’m going to read this tonight. Thank you for praying this awesome prayer over us! I too want to grab one or two of those nuggets! Oh I love this so! Have you done the Daniel study by Beth Moore? SO good! And that prayer? OH MY! Loved this post! Karrilee, I have not done the study! Power prayer for sure! We named our second son Daniel and believe it was the name God led us to. We watch as his maturity and wisdom develop and are aware of the wisdom of God. A big amen – I so believe in names, Sandra! I just LOVE hearing you talk about the word of God. 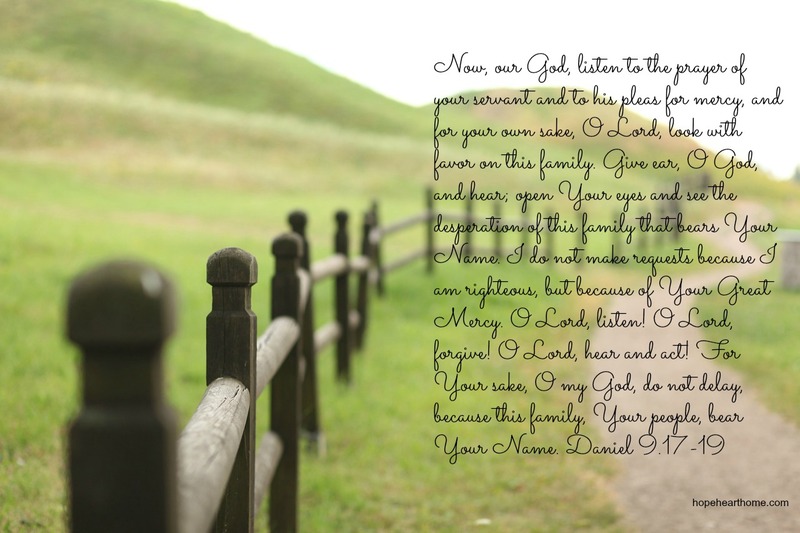 Your heart and perspective really gives a new dynamic to the book of Daniel and such an awesome prayer to have for your family. Natalie, I (really) needed to hear this encouragement – thank you so much! Several years ago, I worked through Beth Moore’s Daniel study with some women at church. It was so, so good. It was unlike other Bible studies, and I’ve held onto some of those lessons I learned. Thanks for linking up at #ThreeWordWednesday. Kristin, Karrilee mentioned that Bible Study too – it must be really great! We can learn so much we go slowly. Sometimes I find I do my quiet times as a check list and fly right through it. I realize that if I actually take my time, go slowly I learn so much. I love your final take away. Be brave like Daniel. That is the theme word for MOPS and I realize how much I try to rely on myself instead of being brave in Him. Amanda, brave is something always on my heart and in my thoughts. I so enjoyed this post on Daniel. I am going to go back and read it again. Thanks for sharing your perspective and insight. Imagine how the world would be if every mother in the world prayed for every member of her family every day. Ali, it would CHANGE the world!